POPULAR SUPPORT for the National Coalition has fallen dramatically over the past couple of weeks, according to the latest opinion poll commissioned by YLE. The poll found that the popularity of the ruling party plummeted by 2.3 percentage points from 19.6 to 17.3 per cent in January, representing its lowest level since the early days of the tenure of party chairperson Petteri Orpo. “The National Coalition’s fall is the biggest we’ve seen in polls for a long time,” commented Antti Koskela (SDP), an economist at the Finnish Confederation of Salaried Employees (STTK). Koskela estimated that the dramatic fall is a result of the criticism levelled at private service providers in the wake of revelations that numerous daycare and healthcare units have neglected their responsibilities in order to maximise profits. “Seeing the National Coalition make excuses in public has been agonising – apparently there is no common view on the issue. The next poll could be fateful for the National Coalition,” he wrote in his blog on Thursday. His assessment was echoed by Tuomo Turja, the managing director of Taloustutkimus. “I dare say that the debate about the state of elderly care has been damaging for the National Coalition. It’s evident in that the last two weeks of the debate were clearly the worst for the National Coalition,” he told YLE. The poll results were kind to none of the three most supported parties in Finland. YLE on Thursday reported that the Social Democratic Party saw its popularity decrease by 1.1 percentage points to 20.1 per cent and the Centre Party its popularity decrease by 0.5 percentage points to 15.6 per cent in January. The Green League is trailing the Centre by exactly one percentage point, after the opposition party registered an up-tick of one percentage point in popular support to 14.6 per cent. The Finns Party, however, made the most significant gains in the poll by registering a surge of 1.8 percentage points in support to 12.0 per cent. Support for the Left Alliance contrastively fell by 0.9 percentage points to 8.9 per cent. The Swedish People’s Party reclaimed its status as the seventh most popular party in the country, following a 1.5 percentage point-jump in its popularity and a 0.6 percentage point-drop in that of the Christian Democrats. The Blue Reform continues to poll at the modest level of 1.4 per cent despite a 0.4 percentage point-increase in popular support. 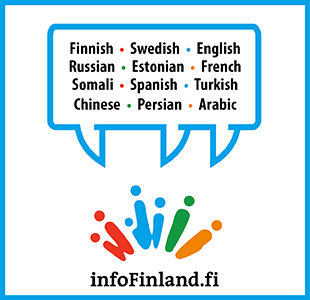 A total of 2,928 people were interviewed for the poll by Taloustutkimus between 14 January and 5 February. Over 60 per cent, or 1,794 of the respondents were able and willing to disclose their party of preference.